Eschew the tourist crowds and head to Andrew Jackson's Hermitage and Room Escape Games. Deepen your sense of the past at sights like Lotz House Museum and Belle Meade Plantation. You'll find plenty of places to visit near Nashville: Franklin (The Copper Fox Gallery & Carnton), Storytellers Museum (in Bon Aqua) and South Union Shaker Village (in South Union). There's much more to do: take an in-depth tour of The Johnny Cash Museum & Cafe, take in the architecture and atmosphere at Sri Ganesha Temple, admire the landmark architecture of The Parthenon, and get some jogging in at Centennial Park. To see other places to visit, reviews, more things to do, and tourist information, use the Nashville road trip planning site . Melbourne, Australia to Nashville is an approximately 24-hour flight. You can also do a combination of train and flight. Traveling from Melbourne to Nashville, you'll gain 16 hours due to the time zone difference. When traveling from Melbourne in December, plan for cooler days in Nashville, with highs around 13°C, while nights are a bit cooler with lows around 2°C. Finish your sightseeing early on the 22nd (Sat) to allow enough time to travel to New York City. Let the collections at The Metropolitan Museum of Art and American Museum of Natural History capture your imagination. Get some cultural insight at 9/11 Memorial and Statue of Liberty National Monument. There's much more to do: take in the pleasant sights at Central Park, see the interesting displays at New York Public Library, explore the world behind art at Frick Collection, and take in the architecture and atmosphere at St. Patrick's Cathedral. To see reviews, other places to visit, maps, and other tourist information, go to the New York City trip itinerary planner . Fly from Nashville to New York City in 5.5 hours. Alternatively, you can do a combination of flight and bus; or drive. The time zone difference moving from Central Standard Time (CST) to Eastern Standard Time (EST) is 1 hour. Traveling from Nashville in December, you will find days in New York City are little chillier (10°C), and nights are about the same (2°C). Finish your sightseeing early on the 27th (Thu) to allow enough time to travel to Boston. Discover out-of-the-way places like Marginal Way Walkway and Cliff Walk. Visit Ocean Drive Historic District and Ned's Point Lighthouse for their historical value. 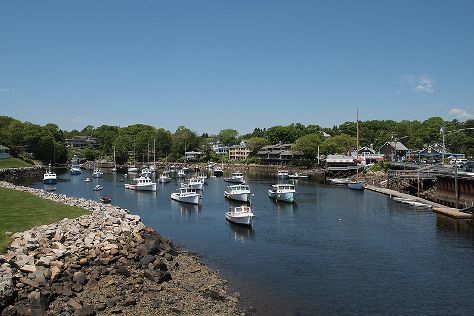 Change things up with these side-trips from Boston: The Breakers (in Newport), Strawbery Banke Museum (in Portsmouth) and Cape Neddick Nubble Lighthouse (in York). And it doesn't end there: explore the world behind art at Museum of Fine Arts, admire the landmark architecture of The Fairbanks House, take in the architecture and atmosphere at Cathedral of the Holy Cross, and get your bearings at John F. Kennedy Presidential Museum & Library. For where to stay, more things to do, reviews, and more tourist information, go to the Boston road trip planning site . You can do a combination of flight and bus from New York City to Boston in 3.5 hours. Alternatively, you can do a combination of bus and flight; or drive. Expect a bit cooler temperatures when traveling from New York City in December; daily highs in Boston reach 7°C and lows reach 0°C. Cap off your sightseeing on the 31st (Mon) early enough to travel to Chicago. Your cultural itinerary includes sights like The Art Institute of Chicago and Amboy Depot Museum. Museum-lovers will get to explore International Wall Dog Mural and Sign Art Museum and Museum of the Gilding Arts. Take a break from Chicago with a short trip to Livingston County Courthouse in Pontiac, about 1h 55 min away. There's still lots to do: appreciate the extensive heritage of Millennium Park, enjoy breathtaking views from 360 Chicago Observation Deck, get curious at Museum of Science and Industry, and take in the architecture and atmosphere at Old St. Patrick's Church. Traveling by combination of bus and flight from Boston to Chicago takes 4 hours. Alternatively, you can do a combination of bus, taxi, and flight; or drive. You'll gain 1 hour traveling from Boston to Chicago due to the time zone difference. In December, Chicago is a bit cooler than Boston - with highs of 3°C and lows of -3°C. On the 6th (Sun), you'll have the morning to explore before heading back home.